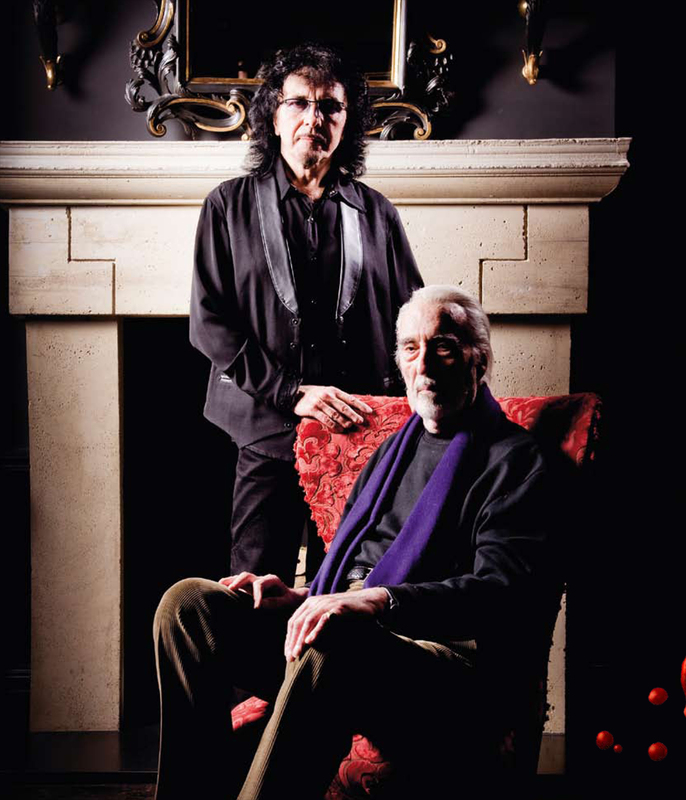 So sad to hear about the loss of Sir Christopher Lee. The man was truly a legend and such a great inspiration for me and millions of others. His legacy will live on in the hearts of all his fans. My wife Maria and I will remember him with great fondness. I was checking out all of the online tributes for Sir Christopher and remembered that Tony was also a great fan. What an awesome photo! My all time favorite guitarist with my all time favorite actor! I hope, Tony, that you perhaps may yet read this. One of the most fascinating aspects of Sir Christopher, was that he came from the World War Two Generation. The popular music in vogue then, was that of Benny Goodman, Gene Krupa, Frank Sinatra, Glenn Miller, Jo Stafford, Peggy Lee, and others. And the hold that Classical Music had upon our culture was much stronger then. It amazes me even more then, that Sir Christopher would so enthusiastically embrace your music, making him possibly the world’s most notable and oldest “Metalhead”! I do treasure your friendship with him, from afar. You already know this, but others may not. He was a Step-Cousin to 007’s creator, Ian Fleming. During the war, he worked much of his billet in RAF Intelligence, so I do imagine that from some of the story-telling with “Cuz”, much of the grist of James Bond emerged. When his unit moved up to Naples, just three days before Mt. Vesuvius blew her stack in 1944, he got to summit that mountain. And, he nearly did get the part of Dr. No, before Saltzmann-Broccoli changed their cavalierly changed their minds, and drafted Joseph Wiseman. Looking back, I wished “Chris” had gotten the part instead, oh well. I was pleased to see “Chris” take on so rugged a role, for an 80+year-old man, that as Saruman, in the “TLOTR” trilogy. It did look like he was doing a lot of his own stunting, squaring off against Sir Ian; astonishing! He did then later carry on for quite some time, so, I guess the role did him some good. Tony, I so do wish to share in the burden of the loss, of your fine Renaissance-Man friend, Sir Christopher Lee, and you ARE blessed indeed, to have had the camaraderie of a magnificent man, with such surprisingly pleasant and vast far-ranging interests, and, indubitably PERFECT talents. By the way, I have seen you perform in Northern California, nearly all in the San Francisco Bay Area, on 13-odd occasions, every single one of them a singular TREAT. So, YOU have BLESSED me, for providing me with wonderful experiences, that I shall ALWAYS treasure. And now, with life’s changes, I don’t want you to over-tax yourself; as with Sir Christopher, it would fulfill a little dream of mine, to see your Queen or Prince, likewise, Knight YOU, too!! You have indeed done your part, to keep the UK in the world’s consciousness.